First 6 notes; intervals TTSTT; F sharp major. Bells cast by George Mears, 1-5 in 1860, 6 in 1858. 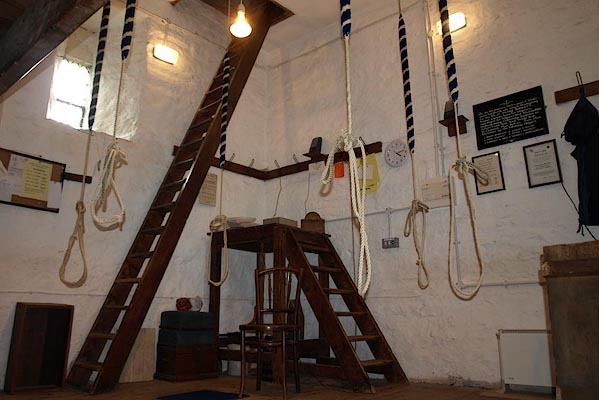 The bell clappers were tied so that ringing was silent. 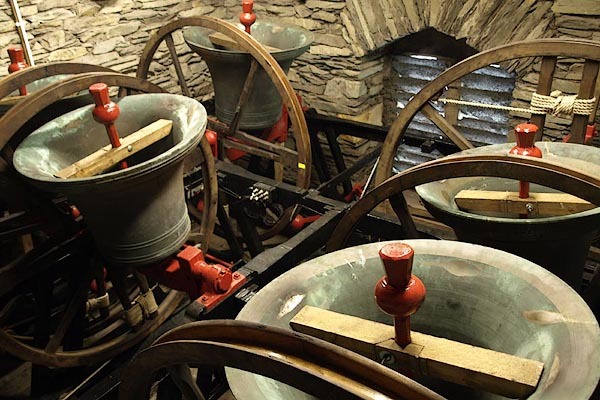 There had been a service with bells earlier in the day, and another was to follow after this practice. ring of bells, Langdale -- Holy Trinity Church -- Chapel Stile -- Lakes -- Cumbria / -- 18.6.2011 -- Tied clapper. The bells were rung down silently, an eerie experience to watch, without sound.